Once again, I managed to purchase this months beauty box by pre-ordering last month. 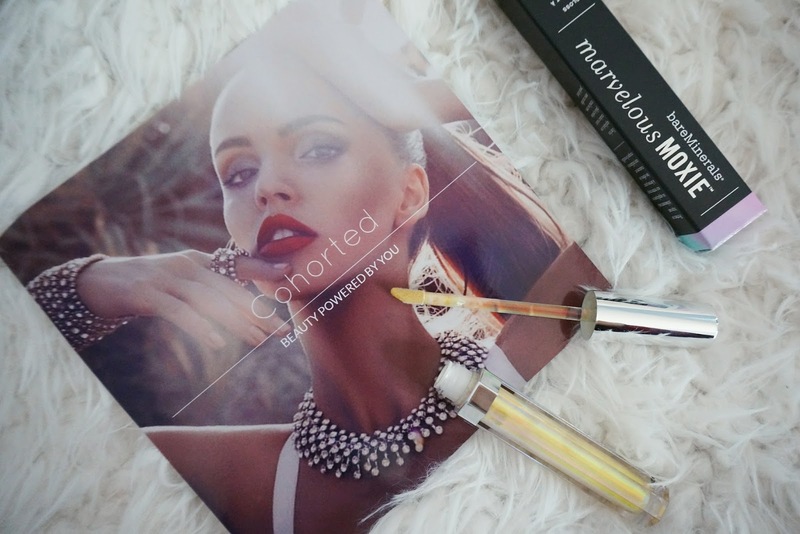 If you haven't heard of Cohorted before, they offer a selection of products for you to try out for £19.99. See last months Cohorted box here. This months Cohorted consists of 5 products with the value of the goods totaling to £65.99. 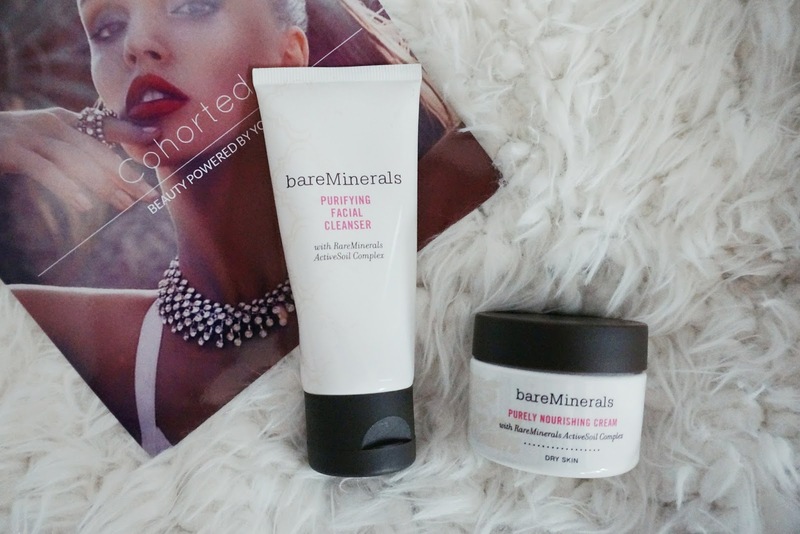 Starting of with Bare Minerals, I received the Purifying Facial Cleanser and Purely Nourishing Cream. The Purifying Cleanser removes makeup, dissolve impurities and re-balances skin for a soft smooth complexion. You receive a 60ml version worth £15.00 . The Purely Nourishing Cream is formulated for dry skin, which helps to improve firmness, elasticity, radiance and also skin texture. The 30ml size retails for £10.00. These both have a lemon herbal smell which I am not keen on. Next, is also another Bare Minerals item, The Marvelous Moxie Lipgloss in Hypnotist which retails for £16.99. I am truly fascinated by this product as it is very vibrant, iridescent and holographic. It is described as a violet peach colour that shifts shades form pale purple to coral peach with gold pearl and has a minty refreshing smell. 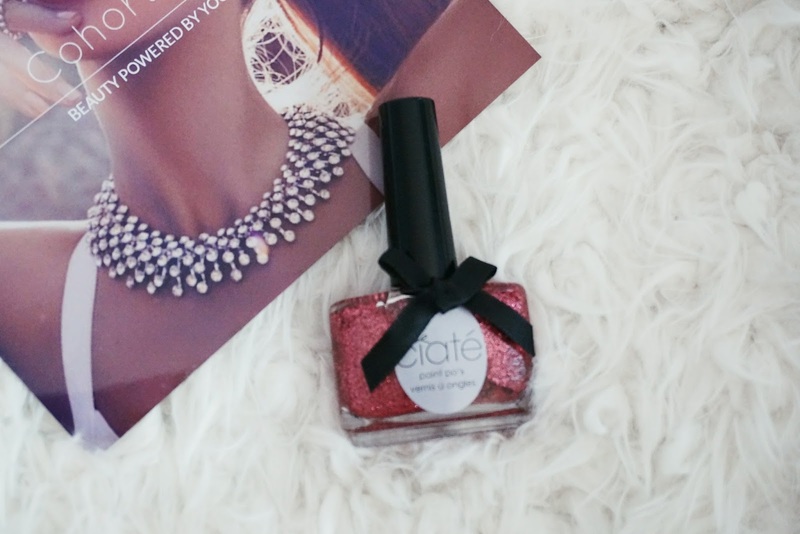 The Ciate Nail Polish in Serendipity is also inside this months box, which is a clear nail varnish with red glitter. This retails for £9.00 and would be a great topcoat to add some colour onto your nails. 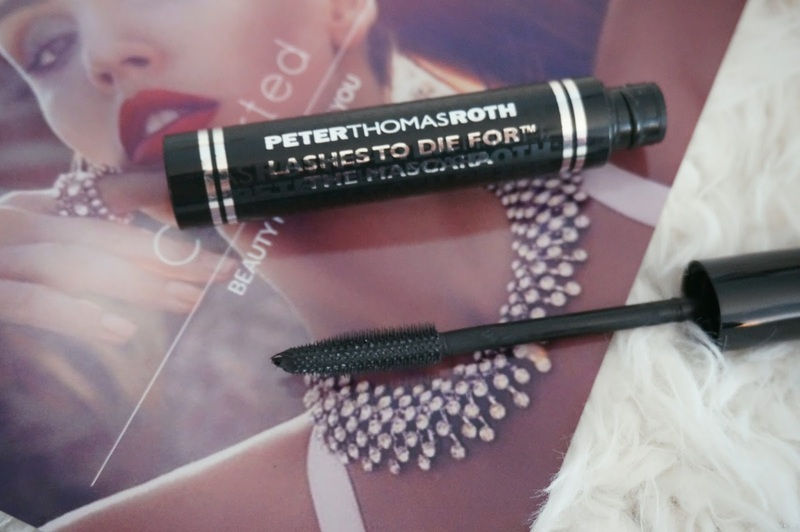 Lastly I received a full size Peter Thomas Roth Lashes To Die For Mascara in black, which retails for £15.00. The mascara wand is slightly bending to help coat all lashes and has two different dimension on the brush to lengthen and volumise your eyelashes. From this box, the most exciting thing I would like to try is the Bare Minerals Face Cleanser and Nourishing Cream to see if I can stand the scent and to test if it will improve the elasticity in my skin. What would you like to try form this box? Until next time! Lovely favorites! 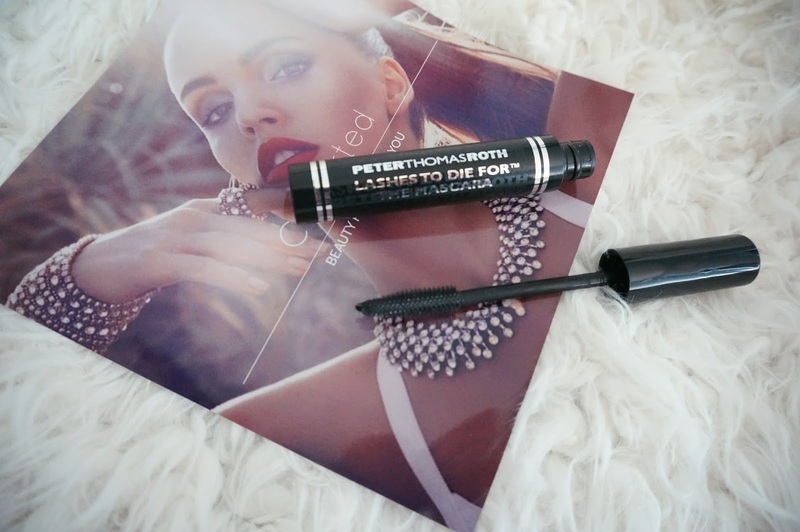 I have to try that Peter Thomas mascara! The lipgloss colour looks quite exciting, definitely one to make you stop and look at it. Id be most interested in seeing how well the mascara does, I love mascara haha.